For your total garage door repair needs, count on our company, based right here in Riverside, CA. We service and repair your garage door, so it functions like new again, with affordable services and professional technicians. Even if you are not sure exactly what is wrong with your overhead door, we can troubleshoot the issue and fix it promptly. While some of our competitors are unfamiliar with the Riverside area, our team knows the area well. We are a locally owned and operated business, with 20 years in the overhead garage door industry. Count on us when you need assistance with your door! Each of our technicians is fully certified and can fix any make or model of the garage door, whether it is made of steel, wood or plastic. We arrive at your home on time, with all tools to do the job right, and we have smiles on our faces. Get a quality garage door repair, service or install in your home, for a reasonable price. We are a high-value company as we use industry-leading equipment and parts to carry you through many seasons, such as anti-rust hardware and springs built to last. We offer great low prices on brand names. Our customers often tell us they appreciate our flexibility. We are available for an overhead door repair or service 24 hours a day, 7 days a week. When we are on route to your home, we will call ahead to let you know (typically 30-60 minutes before your appointment). Also, call us if you require our emergency services. You cannot plan when your garage door will stop functioning, so we want to be your go-to solution, rain or shine! We don’t charge you extra for evening or weekend call outs. Alternatively, take advantage of our professional telephone support. Daily deals are available to help stretch your dollar farther than ever in Riverside. We currently run a number of specials, including $100 off single garage doors, $29 Lube-n-Tune + Safety Inspection, $75 off any repair (with purchase of parts), and $200 off new double doors. For your peace of mind, our company even offers a 100% satisfaction guarantee and a lifetime warranty; just ask us about our garage door repair offerings. If you have an issue with your overhead door, automatic garage door opener, or your door’s keypad, give us a call. Our garage door repair services extend to each of these areas. We fix common problems like jammed doors, broken springs and cables, and safety eye sensors that no longer work. If your door requires new drums, cables, and rollers, we will install them correctly. Our certified technicians perform garage door repairs in all 28 neighborhoods within Riverside. From Arlington and Canyon Crest to Eastside, La Sierra, and Sycamore Canyon Springs, we are here to meet your overhead door needs. We work efficiently so that you can go about your day, whether you are off to the Fox Theater, the University of California or you want to go for a drive along the amazing scenic area. For your garage door repair needs, count on our professionals right here in Riverside. Call us to get your overhead garage door working just like new again. Our friendly customer service representatives look forward to speaking with you! 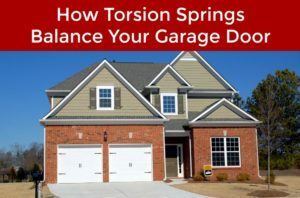 How Important Are Garage Door Inspections? How do you compare to this garage door maintenance survey?